I am the type of teacher who is always willing to try new technology in the classroom. Latest tech tip? I'll give it a go. Shiniest new app? I like shiny things. Pixels on the screen configured to grab my students' attention? Well, okay--that's a hard won thing. The trouble is, I find myself going from app to app and website to website. 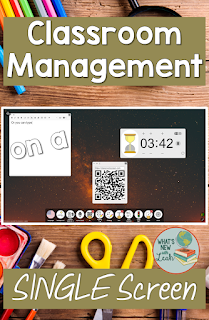 It's often worth it, but what about for the really basic, useful, classroom management tools? Case in point--when I want to use a timer, I typically Google one. 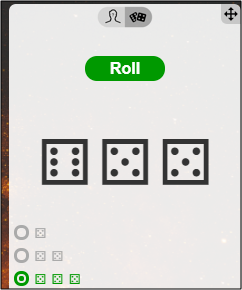 Then when I want to roll digital dice for random selection, I do the same. I Google yet another website to visually monitor student volume, and to jot info down, I walk over to my whiteboard (or pull up a separate program on my Promethean Board). None of this is taxing, but if it could all be in one place, displayed simultaneously, that would seriously streamline things. And when transitions are shorter, students have less time to get off task. I've wondered how to make this happen on numerous occasions, but I'm just not the genius to figure out how to make all of this happen. But, fortunately, someone else is. AND he provides it online for FREE. 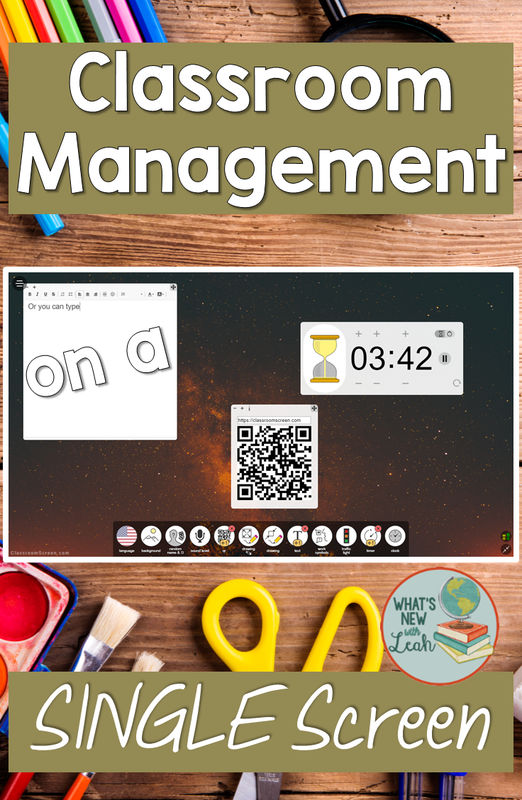 He is a teacher from the Netherlands named Laurens Koppers who, like me, wanted to have all of these tools available in one place. So he made a simple tool that brings a lot of management tools together all on one screen. 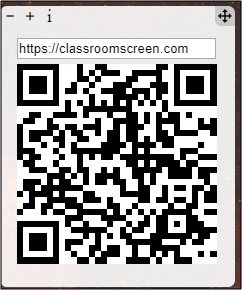 1.Generate a QR Code for your students to scan. It can stay on the screen while you write in whiteboard mode or use any of the other tools. 2. 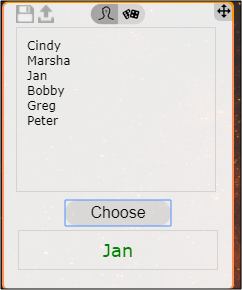 Create a random name generator (select random students). You can save the list to your computer once you type it, and then re upload it for the next time. This is great for games and random number selection. 4. Upload images and type in a text box. 5. Use a countdown timer. It even has a looping function so it will reset and continue after it goes off (perfect for stations). 6. Display a sound level tracker. If class volume gets too loud, students have a visual reminder. 7. 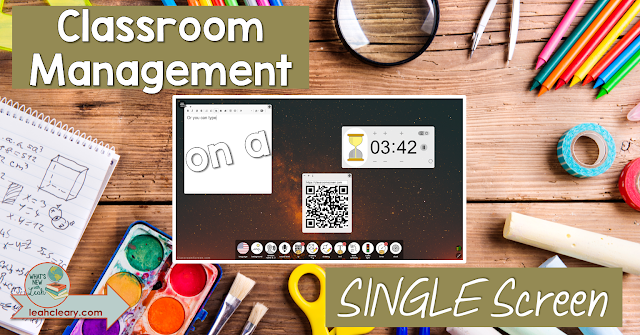 Draw or write on a virtual whiteboard. Keep all of the other tools you are using up while you do this. 8. Display a traffic light for visual cues. 9. Display work symbols for visual cues. 10. 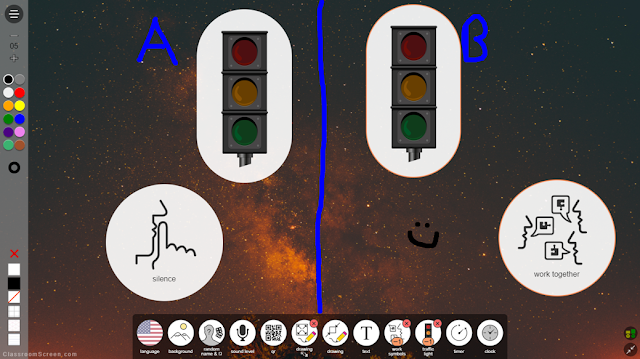 Split the screen to provide instructions for two different groups working on different tasks. Add different information on each side. The traffic lights and work symbols are shown. 12. Select your language of choice. 13. Push out an exit poll.